At Polar Shades, we love the outdoors. 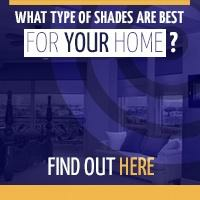 It’s why we offer retractable awnings and exterior shades that expand your outdoor living space. Relaxing, entertaining, and enjoying life just got a little easier. Now that you’ve discovered Polar Shades retractable awnings, you’ll soon be able to live beyond the boundaries of your home’s walls without worrying about unsightly beams. Please note, our retractable awnings are only available to retail customers in the Las Vegas market. Get ready to experience your yard like never before, as our awnings set the stage for a welcoming outdoor living space. Our attractive awnings will beautify your home while enhancing the functionality of your open-air areas. Our retractable awnings can be mounted just about anywhere. We don’t rely on obstructive posts. Instead, we utilize powder-coated steel and aluminum support systems to create the frame constructions that hold our shades. Our technology and design allow us to mount retractable awnings virtually anywhere you’d like a little more protection from the sun. We offer widths from 5′ to 40′ and projections that reach as far as 14′ 6″. It doesn’t matter how big or small your project is, we’re here to help. 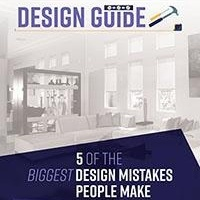 If you’re not sure which dimensions would work best for your property, don’t hesitate to reach out to us. We’ll put our experience to work for you and help you find the right width and projection to suit your unique needs. We’ve partnered with Sunbrella, an award-winning fabric and textile provider, to ensure our awnings are created from the highest-quality elements. When you choose Polar Shades retractable awnings, you’ll have over 200 colors to choose from, each of which is designed on outstanding fabric that’s meant to withstand the elements and provide maintenance-free enjoyment for many years to come. Each Polar Shades design is stunning, but aesthetics aren’t the only reason we’re great at what we do. Our shades are functional, providing you with protection from harmful UV sun rays while you enjoy your outdoor living space. Awnings are also good for your wallet. 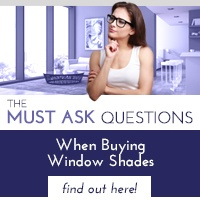 The additional shade these products provide will shelter your home from excessive heat in the summer months. In return, you’ll experience lower energy bills, as the inside of your home will naturally stay a bit cooler. We’re here to help, and we’re happy to do so! Our team of professionals is specifically chosen because they embody our company’s culture and values. You’re welcome to contact us anytime, and you can rest assured anyone you encounter will be pleased to assist you with questions, concerns, or general comments. Ready to see how our retractable awnings can enhance your home? 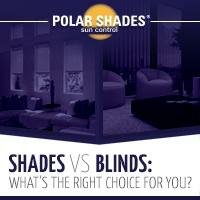 Contact our Polar Shades team to schedule a free in-home consultation today!